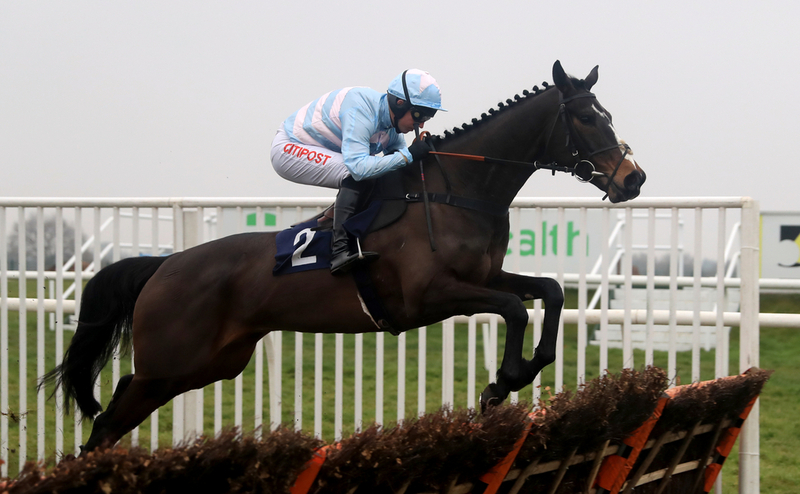 Trainer Tom George is very excited to see his hurdles star of last season Black Op get underway at Exeter on Wednesday in his first run over fences in his career in the RGB Building Supplies Beginners’ Chase. The seven year old who is currently leading the market for the JLT Novices' Chase at the Cheltenham festival in March and is a general 10/1 shot to take the spoils on the biggest stage of them all in jumps racing. Black Op last season, first really made a name for himself when taking the Grade 2 Ballymore Classic Novices Hurdle setting him up for the Grade 1 Ballymore Novices Hurdle at the Festival where he finished an excellent second behind last seasons hurdling giant Samcro. From there, in his last run of the season he finally managed to take a Grade 1, in the Betway Mersey Novices' Hurdle and showed what a promising horse this was for his trainer. Now back this season to tackle fences his trainer is optimistic of what he can achieve this season. (Credit At The Races) He said: He is great and is ready to go. He schooled on grass on Monday, and Noel Fehily came in to ride him, and he jumped well. “There is a long winter ahead of us, but it is a good place to start off. He has had a clean run since he has come in. “He is the same as he always was in that he is a very laid-back horse, but he wakes up at the races when he needs to. If he goes on to win today in what should be a routine victory for the 8/13 shot, his price in the betting for the Cheltenham festival will take a dive and by how much will depend on his overall performance.